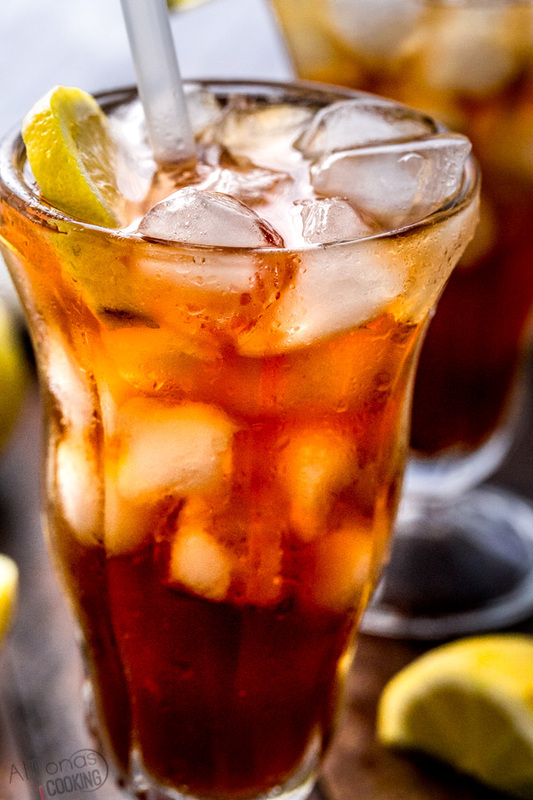 Make iced tea fast with this easy brew and cool technique. No commercial equipment needed and you get that same restaurant quality taste from plain tea bags. Lipton tea will give you the exact taste you would order out since orange pekoe is that flavor you get from iced tea. Infuse your tea with fresh fruits or lemons for a hint of additional flavor or for a pretty garnish. 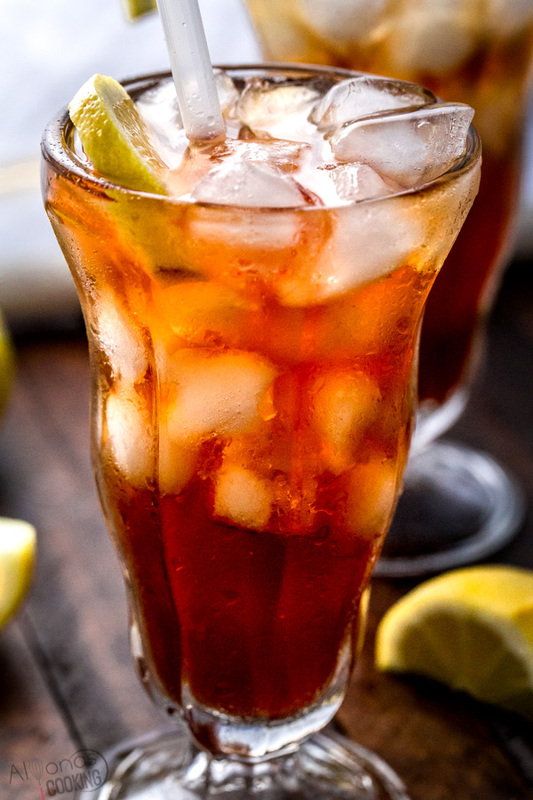 Making a batch of freshly made sweet tea is super economic and perfect for a party, gathering, potluck or a drink to simply have sitting around to enjoy. What can you add to Iced tea? 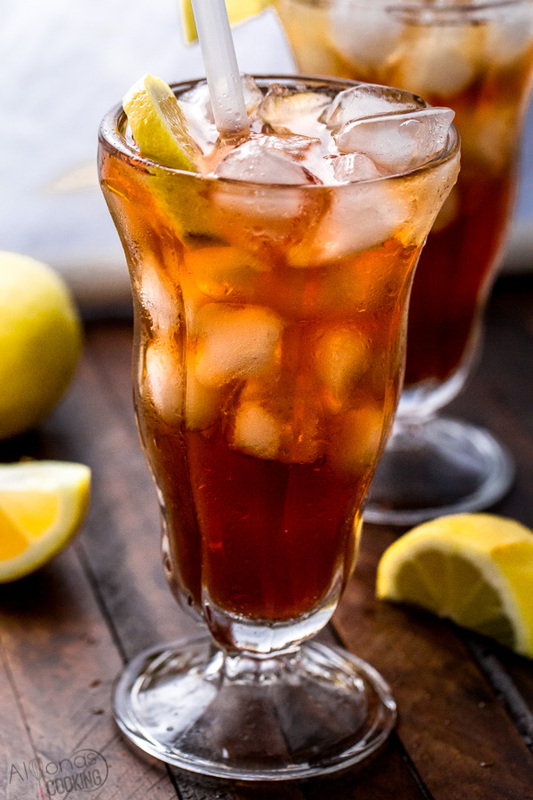 Sweetened iced tea is best served originally just brewed and sweetened however popping a fresh lemon or fruit can add a nice garnish. How long does it take before I can serve iced tea after it brews? As soon as the brewed tea is around room temperature it is time to pack your glass with ice and pour the tea over. If you do this while the tea is still hot, it can lose it’s flavor by getting diluted by ice rapidly and not having such an iced effect, which defeats the purpose. How do you speed up or make iced tea fast? To make iced tea super quick, brew the tea bags in half the amount of boiling water. Stir in the sugar to dissolve the granules and add the remainder water, cold. This will bring the tea to room temperature instantly! How do I get iced tea to taste like Restaurant sweetened iced tea? Proportion is key! Brewing the tea bags in the right amount of water and adding just enough sugar balances everything to make the perfect batch of Iced tea. How long do I have to brew iced tea? If using Lipton tea bags, tea can brew in as fast as 3 minutes. The longer the tea bags sit in hot water the deeper and stronger the flavor. Place 7 tea bags into a large bowl. Pour 4 cups of boiling water over the tea bags and steep (brew) 4 minutes. Remove tea bags and add 3/4 cup of sugar. Stir together until granules dissolve. Pour 4 cups of cold water and stir. Ladle tea into a packed cup of ice and enjoy! Serving iced tea for a crowd is easy. Depending on the size of your crowd you may need to double or triple your portion. One batch makes 10-12 servings of approx. 6 fluid oz. So plan accordingly. Note: Recipe calls for dividing the water for quicker use. However, all boiling water can be used at once and cooled to room temperature if not in a rush.